The CoffeeShop Blog: CoffeeShop Free "Ice Cream" Digital Paper Pack! CoffeeShop Free "Ice Cream" Digital Paper Pack! Happy Friday! I can't believe the week is almost over. I have been so busy with the puppy and the boys that time is just flying by so quickly. We are taking a break from school and enjoying just hanging out at home and relaxing. Our best friends a few doors down have a gorgeous pool (with a diving board!) so we feel like we are on vacation even if we are just hanging around our neighborhood. 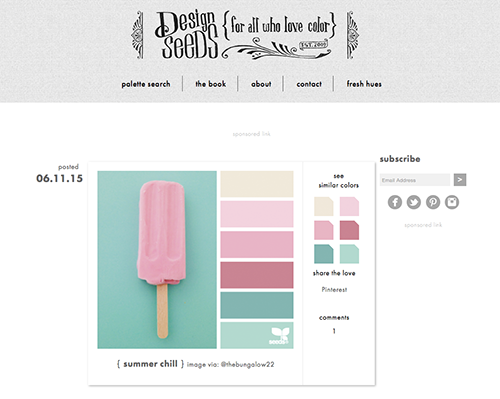 I love the Design Seeds site and go there all of the time to get color inspiration for my own designs. 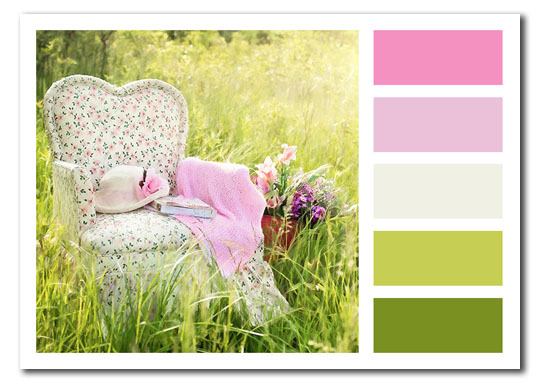 I love the idea of selecting colors from a beautiful image for inspiration. Here I used this still-life image from Jill Wellington and made my own "color bar" storyboard. I have a little action that allows you to create this type of storyboard already posted on this blog, but I am going to write a new and improved version that will add the drop shadow effect automatically. I will post it next week. 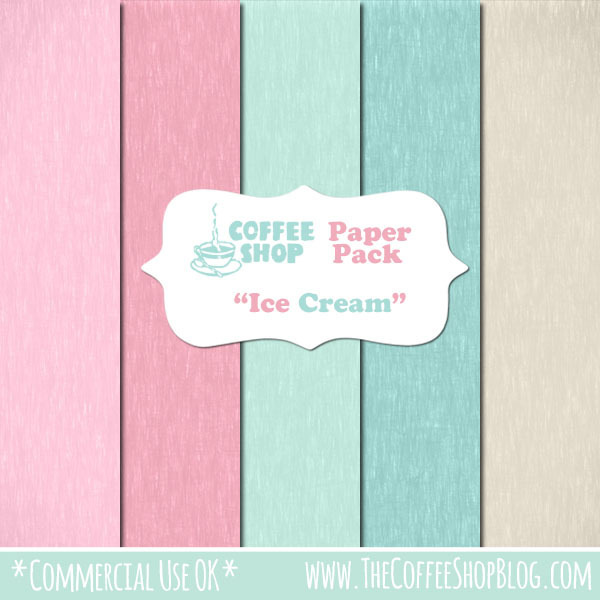 Download the free CoffeeShop "Ice Cream" Digital Paper Pack" . You can also download it here. I love your digital papers! I was going to Etsy to find mine, but then I came across your site and have loved it ever since <3 I would love to begin designing my own, if ever have the time to figure out photoshop :P Thank you so very much! Love these new textured papers. Yummy colours. Thanks so much. I am a big fan of Design Seeds myself. I also love the idea of choosing colours from pics. I didn't realize you had an action for that. I'll go and grab it and also look forward to the new one coming out next week. Thank you from the bottom of my heart for sharing your passion. I have been a big FAN of yours for several years now. If I could - I would give you a big hug! Keep up the fantastic work!